Pas de poing levé, de béret, ni de fauteuil en osier en couverture, mais une accroche explicite au verso: Listen Whitey (écoute, blanc-bec) raconte l’influence du black power dans le domaine des musiques folk, rock, soul et jazz entre 1965 et 1975, “quand les musiciens étaient considérés comme des révolutionnaires et les révolutionnaires comme des icônes de la culture populaire“. 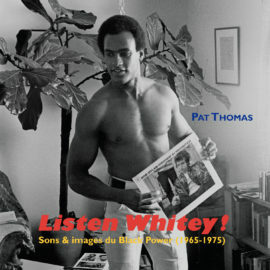 Il a fallu cinq ans de recherches à Pat Thomas, producteur de rééditions d’artistes de l’époque (d’Elaine Brown aux Watts Prophets), pour redéfinir les contours du black power, des black panthers et des nationalistes noirs, avant de déterrer les trésors des sous-labels à la conscience politique affirmée de Stax (Respect) et Motown (Black Forum). Partial mais exhaustif, l’auteur s’enflamme pour “The Blue Guerrilla” de Gylan Kain (1970), proto-rap vernaculaire qui flingue entre autres Janis Joplin, et nous donne de bonnes raisons d’espérer l’hypothétique sortie officielle de la B.O. de “The Spook Who Sat By The Door” signée Herbie Hancock (1973). Le CD d’accompagnement, qui ne verse pas dans la facilité du tout-blaxploitation et propose sept titres inédits sur seize, permet l’immersion complète dans un ouvrage dont The Fourth Reich/The CommuNazis Exposed constitue l’épilogue coup-de-poing révisionniste par excellence. “For nearly a decade, Pat Thomas was the A&R Director of the San Francisco based record companies; Water Records (CDs) and 4 Men With Beards (vinyl Lps). These two reissue labels established themselves via reviews and features in the New York Times, Billboard, Mojo and on NPR: All Things Considered as one of the premier reissue labels – focusing on 1960’s-1970’s rock, jazz, folk, and soul. As a producer, Pat was directly involved in revamping the recorded catalogs of 1970’s cult-legend Judee Sill, 1960’s acid-folk pioneers Tom Rapp & Pearls Before Swine, and 1960’s singer/songwriter Ruthann Friedman – including unearthing much previously unissued material. Other artists Pat worked closely with include Terry Reid, Holy Modal Rounders, Patty Waters, Les McCann, Gene McDaniels, Tom Verlaine, John Lydon, John Sinclair (Mc5) and the estate of Allen Ginsberg. Working as a freelance journalist Pat has interviewed Allen Ginsberg, Lou Reed, John Cale, Paul Williams (founder of Crawdaddy magazine), Marty Balin and Paul Kantner of the Jefferson Airplane amongst others. As a drummer/producer/musician, Pat has performed and/or recorded with a wide range of diverse artists including Krautrock legends Faust, Kevin Ayers of Soft Machine, Daevid Allen of Gong, Pete Brown (lyricist for Jack Bruce and Eric Clapton on the Cream albums), singer/songwriter Victoria Williams, Steve Wynn of the Dream Syndicate and others. During his tenure with Water Records, Pat began working on a research project centered around the Black Panther Party with a focus on the protest recordings that the Black Power movement inspired during the 1960’s and 1970’s – this led to establishing strong working relationships with two key leaders of the Black Panther Party David Hilliard (Chief of Staff) and Party chairman Elaine Brown (including releasing her landmark 1969 album “Seize The Time” on CD). As well as meetings with Bobby Seale, Ericka Huggins, and other Panthers. 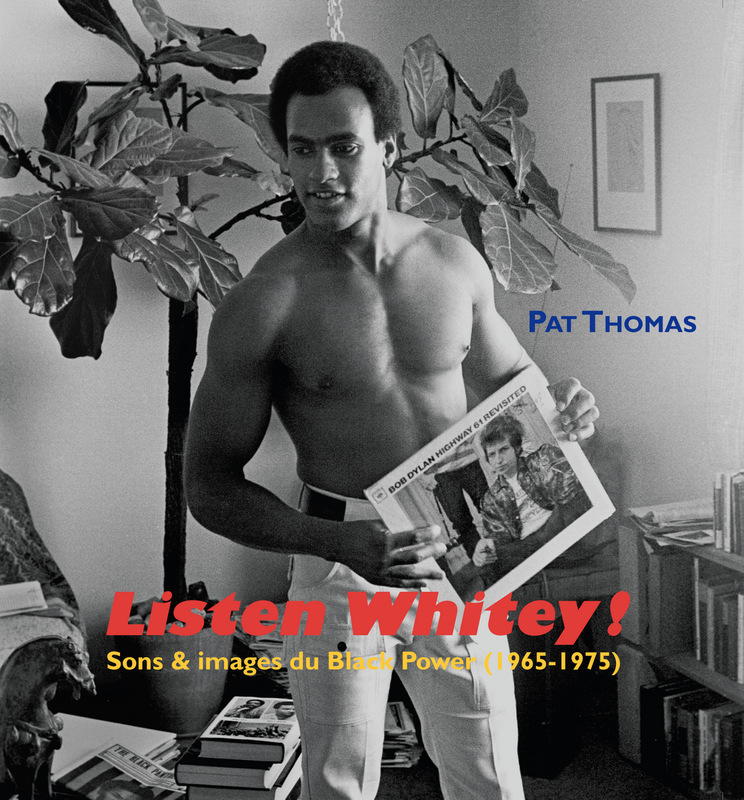 Over a period of 5 years, Pat uncovered dozens of rare/out of print/forgotten Black Power recordings in all areas of jazz, soul, poetry, speeches, interviews, and rock/pop music – eventually amassing what might be considered the largest collection of its kind. This has led to speaking engagements on the subject of Black Power music at San Francisco State University, Merritt and Laney Colleges in Oakland, and the College of Alameda. His research project brought him into the Huey P. Newton archives at Stanford University and received enccouragement from represenatives of Bob Dylan, John Lennon & Yoko Ono, and Graham Nash of Crosby Stills Nash and Young.